The IB Series IB-348WCL Triple Eleven-Gallon Ingredient Bins with Dolly with Clear Lids is a rugged, high-quality ingredient bin and dolly with clear lids. Heavy duty, long lasting, seamless, polyethylene molded parts. Features single, independent dolly to accommodate three bins, stainless steel hardware, ships fully assembled. USDA / FDA compliant resins and pigments, 100% recyclable. Easy to clean and handle. Nest empty. Ideal for food production, commercial kitchens, bakeries, hospitality, transport and storage needs. 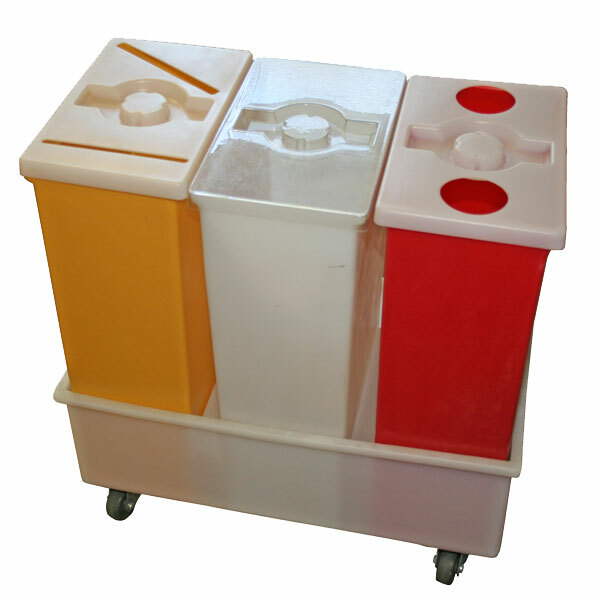 Also referred to as mobile IB, recycling station or unit. 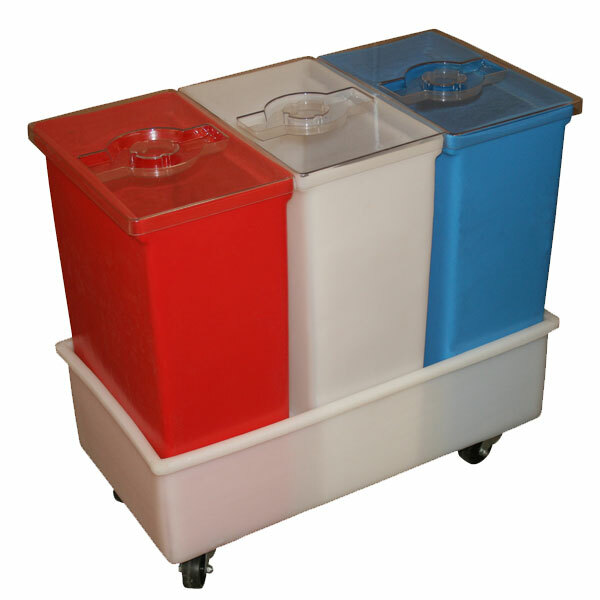 Triple eleven-gallon model with clear lids and independent dolly.